Working hard to give you the best, the new, the Indie and the classic! As you know L&DR is growing very fast and is all Thanks to you for listening and supporting one of the best stations of the Live365 network (users feedback) with a HUGE variety of the best music genre in the world METAL! Up the irons!! \m/ Here's Today Featured Bands! Katatonia (SE) - Katatonia formed in 1991 in Stockholm, Sweden and was brought together by long time friends, Anders Nyström (aka Blakkheim) and Jonas Renkse (aka Lord Seth). After more than a year of rehearsals and composing, the first real fruits of their labour came to light in mid 1992 with the release of the demo ‘Jhva Elohim Meth’, recorded at Sweden’s Gorysound Studio and produced by the multi-musician Dan Swanö. The demo sold out immediately, bringing Katatonia to the attention of Dutch label Vic Records, who went on to re-release the demo as a mini CD, titled ‘Jhva Elohim Meth – the Revival’. With the CD selling out fast and their reputation spreading like a wildfire through the underground, the duo knew they would need a fuller line-up to move the band up and forward. So, bassist Guillaume Le Huche (aka Israphel Wing) was enlisted to their ranks, enabling them to perform live in concert for the first time in their career. Things progressed at pace and at the end of 1992 the trio entered into a one-album deal with the now defunct Swedish label No Fashion records. April 1993 saw Katatonia re-enter Gorysound (now renamed Unisound) to record their first full-length album ‘Dance of December Souls’, produced by Katatonia and Dan Swanö. It then seemed like the album would never see the light of day, but was eventually released in a desirable match to the album title in December 1993. The album was an immediate hit with both the critics and the metal scene. Gone were the black metallic meanderings of their earlier attempts, to be replaced with distinguished melancholy & epic melodious emotion. An essential and now classic chapter in the doom metal genre. The reaction to the new sound was just what Katatonia needed to hear, encouraged and driven by the ever growing quest for progression, they pushed the boundaries even further and set about re-entering Unisound in early 1994 to record the classic 10 minute goth epic ‘Scarlet Heavens’. The track eventually found a home, with Misanthropy records releasing it as a limited split 10″ (with Primordial in 1996). Spring 1994 and Wrong Again records approached the band to appear on a compilation album they were putting together and in the same year Italian label Avantgarde Music approached them with a new record deal. Determined to still make a successful future in the metal scene, the band returned to the sound crafted on ‘Dance of December Souls’ but compressed the epic proportions into a more live adjusted style. Back at the familiar Unisound studio, Katatonia emerged with the tracks ‘Black Erotica’ and ‘Love of the Swan’ for the compilation and the ‘For Funerals to Come’ ep to be released by Avantgarde Music in early 1995. Katatonia then surprised everyone by taking a sabbatical the whole following year. Nyström & Renkse’s problem to find a complete & stable line-up to help them realise their master plan eventually made the two members destined to go separate ways. The time that followed, Renkse spent his time in a new founded side project called October Tide while Nyström divided his occupation in newly formed constellations Diabolical Masquerade and Bewitched. Eventually frustrated by abandoning the uncharted promising future of Katatonia and little action within the walls of gloom, the friends got back together with a different approach and reunited Katatonia in early 1996. Now finally, having found a new permanent third member in ex-October Tide guitarist Fred Norrman, the trio went back into the ever open doors of Unisound, but this time armed only with ideas and an intricate vision, no actual songs had been written at this stage. After a two week’s recording session, Katatonia emerged with the album ‘Brave Murder Day’, proof positive that this new daring way of working had paid off. Opeth’s Mikael Åkerfeldt was asked to step in and perform vocal duties after Renkse declared his voice had taken its toll. Katatonia & Dan Swanö’s production values perfectly captured the highly original and newly emerging Katatonia sound; emotional and cutting edge, simple and direct while still retaining the dark void so integral to the whole Katatonia vibe. The band had re-invented their sound and this album proved to be a groundbreaking influence for many bands to emerge thereafter. After successfully touring Europe for the first time in the autumn of 1996, Katatonia felt excited to re-enter the studio early 1997 to quickly unleash new material. Facing the fact that their second home Unisound had closed its doors for good, they chose the only logical alternative in Sunlight Studio located in their home city of Stockholm. Figuring this would push their originality and experimentation to new places the result was justified in the mini-album ‘Sounds of Decay’, again for Avantgarde Music. 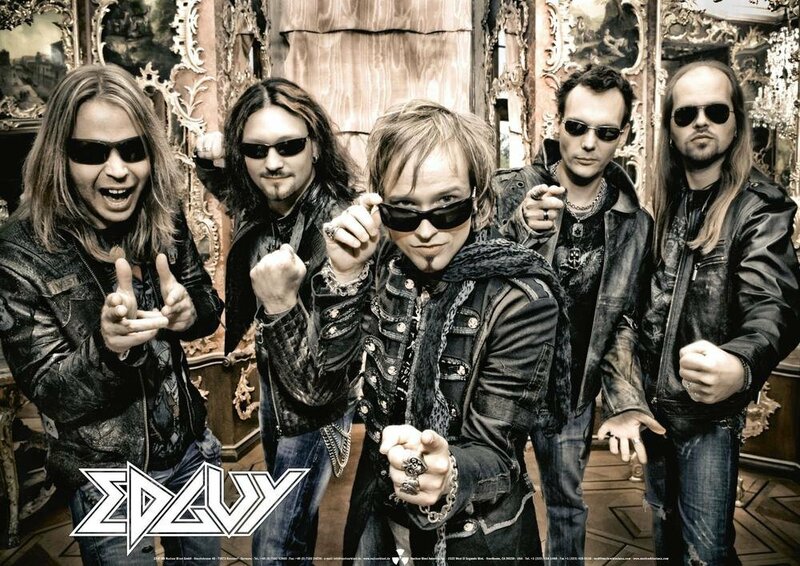 Produced by the band & mixed by Tomas Skogsberg the CD followed a similar path to ‘Brave Murder Day’ and again saw Mikael Åkerfeldt perform vocal duties. Fuelled and at the top of their peak of creativity, it wasn’t long before Nyström, Renkse & Norrman and new member and bassist Mikael Oretoft returned to Sunlight later again in mid 1997, to begin work on their third full-length album ‘Discouraged Ones’, a rebirth of sorts, which saw Renkse again take his old classic role as Katatonia’s combined vocalist and drummer. This time Åkerfeldt’s input moved from a primal screamer to the more eloquent vocal producer position, and it is on this release we get the first real taste of Renkse’s clean and distinct vocal style. A brave and radical move away from the old was a big risk for the band, but the sheer quality of the music on offer blew all away. The gothic flourishes of yore having been replaced by more contemporary leanings, dealing with feelings of loss and desolation, of despair and hope. This is where the band had fully taken off on their dark stylistic turn. Peaceville Records had been following the bands career from almost the very beginning, but it was ‘Discouraged Ones’ with its modernity and dynamics that made the label really fall in love with their sound. Realising that Katatonia was perfect for their roster of highly original acts, the label offered the band a long-term deal, spanning five albums. Delighted to find themselves working with a label that had previously produced some of their favourite music, Katatonia now back again as a trio, set about working on their fourth studio album in 1999, ‘Tonight’s Decision’. This album saw Katatonia back in Sunlight, produced again by the band with Åkerfeldt still co-producing the vocals; they were skilfully assisted by Tomas Skogsberg on the mix. The old long-time producer/mixer Dan Swanö came on board as this session’s guest drummer – enabling Renkse to focus all his attention on his ever-improving sharp vocals. With strong international distribution now firmly in place via Peaceville, Katatonia saw their popularity soar to unimagined new heights and at the end of the year Katatonia toured Scandinavia opening up for the legends Paradise Lost with a brand new line-up in Fredrik Norrman’s brother Mattias Norrman on bass and Daniel Liljekvist on drums. Being busy in the millennium year of 2000 recording the fifth album and also visiting Poland and USA together with Opeth on a number of gigs, Katatonia released ‘Last Fair Deal Gone Down’ in the early summer of 2001. The album release was preceded by a 3 track CD single, the title track being ‘Teargas’ culled from ‘Last Fair Deal Gone Down’ and spiced up by two tracks specially written for the single – ‘Sulfur’ & ‘March 4′. Perhaps more than ever, we saw Katatonia really expanding in their self-belief. With their hallmark tears of sorrow spilling over the songs, there was also a confidence and warmth about the band that added a new dynamic to the sound. Maybe this was due to the fact that Katatonia produced the album themselves over a vast period of time; maybe it was the persuasive use of light and dark, used to illustrate perfectly the emotional gravitas of the songs, either way this was the album that made the whole world sit up and listen. Renkse really had come into his own as one of the most honest and distinctive vocalists around from this scene. There was vulnerability in his vocal style that made you believe every word, giving ever so much without sounding fake. All this underpinned by the genius guitar work of Nyström, who seemed to have opened up the door from that slightly narrow gothic doom sound to rays of modern darkness and an altogether more contemporary approach. After the success of the ’3 days-3 countries’ sprint that was the Peacefest in March 2001, Katatonia came back to the UK in May and embarked on a headline mini tour. Fuelled by the crowds reaction, they were quick to set their sails on a full tour opening up for Opeth later same year taking place in Central Europe and the UK again. To coincide with the tour Katatonia released their second single of 2001 – ‘Tonight’s Music’. The title track again was taken from their last album, ‘Last Fair Deal Gone Down’, released in March. The EP also contained the exclusive tracks ‘Help Me Disappear’, and ‘O How I Enjoy the Light’. 2002 was in total a pretty silent year for the band and the months were mostly spent with by having time off mixed with writing for the next album. April 2003 saw the release of Katatonia’s sixth studio album for empty souls and hearts. Titled ‘Viva Emptiness’, the album was recorded in the dark Swedish winter at 301 Studios in Stockholm and Fascination Street in Örebro, at the end of 2002. Produced by Nyström/Renkse and mixed by Jens Bogren. Using the metal genre as an early template Katatonia had never been a band to stand still or stagnate in any way. With this album, the band now proved to be purveyors of an understated kind of grandeur that had long outgrown all or any generic restrictions, still ostensibly digging deeper into the identity of a metal band. Without a halo of limiting genre above their heads, the music alone said more about the enigmatic Swedes than a 1000 word effort ever could. The release was supported by a full European headline tour over the months April and May, 2003. In 2004 Katatonia toured Scandinavia two times and did a mini European tour and a bunch of festival shows all around the world. In between the live activity, the band yet again took well-deserved time off and started planning the next moves and how to create their next masterpiece. The New Year 2005 brought the release of two compilation albums. The first being Avantgarde Music’s ‘Brave Yester Days’, a complete look back into the early days of 1992 – 1997. Included over 2 discs were the singles, demo, compilation tracks and a selection of the finest moment on the two first full-lengths. Peaceville’s ‘The Black Sessions’ was the second compilation featuring 2 discs of classic material from 1998 – 2004, plus a DVD concert from 2003′s Viva Emptiness tour filmed in Poland. Included were all the singles and b-sides to date, together with the very best tracks from 1998′s ‘Discouraged Ones’ up to 2004′s Viva Emptiness (including ‘Wait Outside’, an unreleased track from the ‘Viva Emptiness’ sessions). To warm up and get a doze of live action before making a start on recording the new album, the band hit the road in March added to the Metalmania bill, playing a few dates in Eastern Europe. Renkse and Nyström then returned home to the making of their seventh album and spent the whole spring completing the process. At the end of the year the band made it to Russia for the first time in their career, playing the two biggest cities to a crowd that had been waiting over a decade for the dark quintet to arrive. In the dying light of 2005 and Katatonia delivered their brand new single, ‘My Twin’ (a 4-track EP containing 3 exclusive tracks) and, shortly after, their decisive seventh full-length album, aptly titled ‘The Great Cold Distance’. The album was recorded in the summer of 2005 at Fascination Street Studios, Örebro, Sweden and was released early 2006 to universal acclaim. 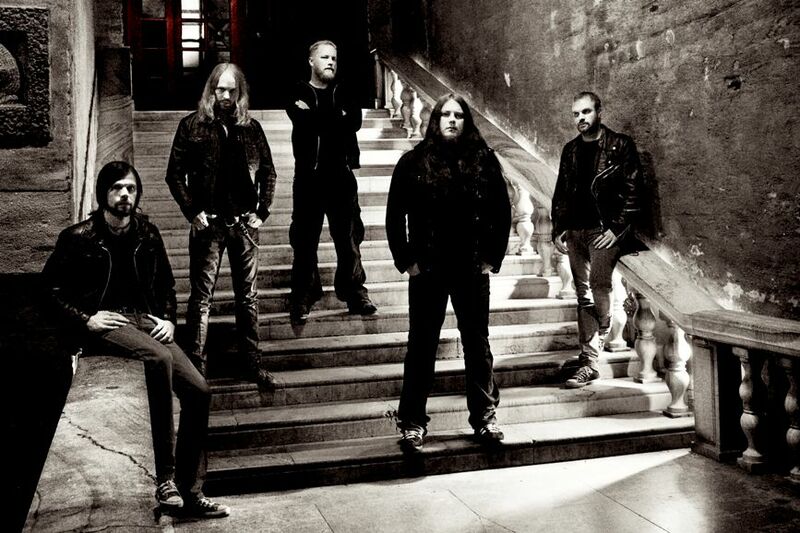 This was backed up soon afterwards by the release of follow-up single, ‘Deliberation’ and extensive touring throughout Europe in the Spring supported by label-mates Novembre and topped off with an American tour with Moonspell later on in the year, concluding a fantastic year for the band.Katatonia gained great commercial & critical response to the album with many hailing it as the band’s greatest work. Two more singles were lifted from the album (‘Deliberation’ & ‘July’) while both singles were also accompanied by video tracks. The band went from strength to strength with their extensive touring & festival duties before the release of ‘Live Consternation’ in 2007, which captured the band live at their glorious best at the Summerbreeze festival in 2006. Katatonia would then resume writing for the eagerly awaited follow-up to ‘The Great Cold Distance’ after having completed a headline American tour in 2007. With such a monumental album to follow, it was 2009 before Katatonia was ready to enter the studio for their eagerly awaited eighth studio album, ‘Night is the New Day’. It was recorded throughout July 2009 & was co-produced, engineered and mixed by David Castillo. Recording was divided between Studio Mega ( for drums) and Ghost Ward Studios, where most recording took place & which provided a dose of inspiration from the darker corners of life with it’s choice of location, as Anders describes: “Broken glass, blood on the walls at the front door to the building and threatening messages written on the elevator – Even excrement and urine on the floor in the basement that makes you wonder if the caretaker is a serial killer himself”. Mastering was completed at Fascination Street Studios (where ‘The Great Cold Distance’ was recorded) with Jens Bogren. A continuation of the heaviness, depth & atmosphere of their previous album, ‘Night Is the New Day’ is also a more multi-dimensional effort – waltzing between prog moments, doom, folk & the classic melodic anthems that are the staple of Katatonia’s uncompromising sound, completed by the haunting tones of Jonas Renkse’s journeys of urban & emotional decay, & now joined by Frank Default on keyboards, notable for his work on the track ‘Unfurl’ from the ‘July’ EP – utilising his expertise to the fullest to texture the soundscapes.